In August 1896 the house was purchased by John Randal Plunkett. John Randal Plunkett's main residence was at 83 Merrion Square South. 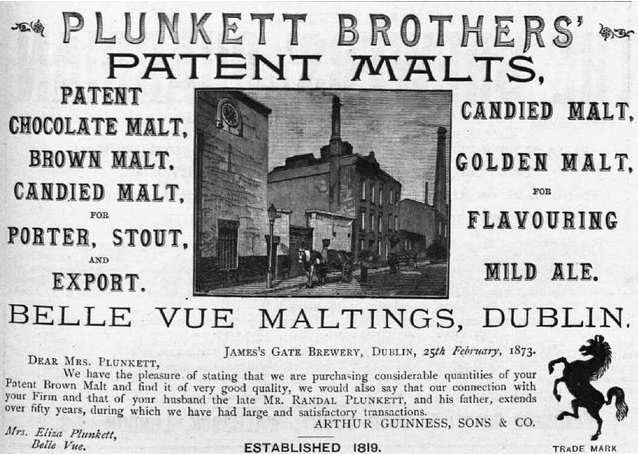 In the early days, Plunkett Brothers had their premises at Belview, a street off James' Street, as well as other storehouses around the city. 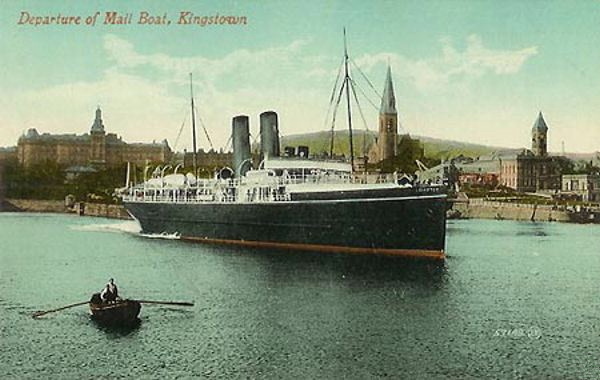 But around 1895, about the same time he bought Earlscliffe (probably as a summer residence), Plunkett acquired new premises for the company in Islandbridge, called Bellevue Maltings. Bellevue, Islandbridge stayed in the family, firstly as a business premises but later also as a residence, until the company was wound up around the 1970's. It is now an apartment complex called Belle View Maltings. 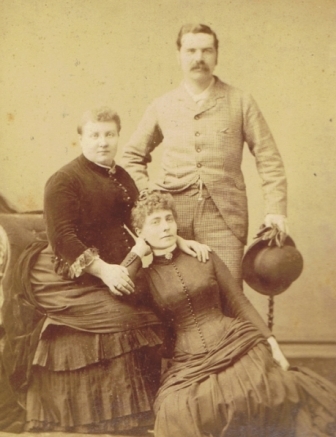 John Randal Plunkett was married to Cecilia Read from Kensington, London (picture left shows John, Cecilia and probably her mother). Cecilia came from a well known family of surgeons. Her mother was also called Cecilia Mary Read (nee LANDON) and her father was a surgeon called Thomas Laurence READ. According to Cecilia's father's obituary, his father was a friend of Dickens and Thackeray! The Plunketts did not stay in Earlscliffe too long as the house was put up for rent in June 1901  and in October 1901 Earlscliffe was sold to Professor John Pentland Mahaffy, soon to be Provost of Trinity College Dublin (but not as soon as he would like!). The following link displays a scrollable timeline related to John Randal Plunkett, showing births, marriages, deaths and major events in their lives and in their home and working environments. Advertisement found in "Noted Breweries of Great Britain and Ireland, vol. 3", Alfred Barnard, 1890 , pages 561 - 562. Nearly all of the background and detail around John Randal Plunkett was very kindly given to me by the great grand daughter of John Randal Plunkett, Aideen Byrne.